after running this fix things work smooth for a couple of minutes but again in a few minutes the connection breaks and I get an ugly yellow icon at the bottom which shows I have limited connection with no internet connectivity. Then I have to re run windows diagnostics again and the solution is same. What could be a reason for this problem how do I permanently fix this? I am using Windows 8.1 64 bit. It is an HP 15 Notebook PC (laptop). 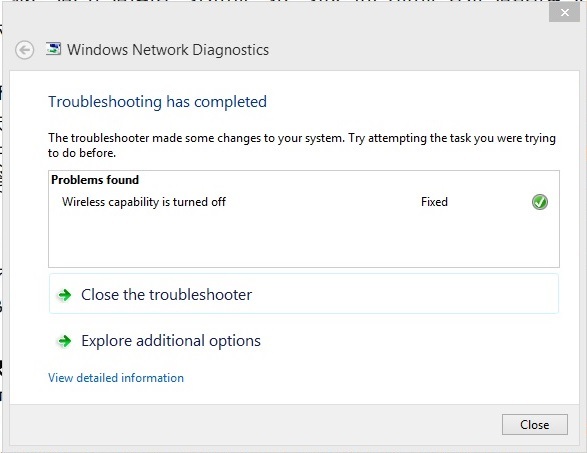 First I thought Windows power management to be the culprit for this so I disabled power management for USB D-Link DWA-131 Wireless N Nano USB Apapter(rev.E) I also updated the device driver but this problem has not gone. Frequently I get connection losses. What Mfr and model# host router do you have? 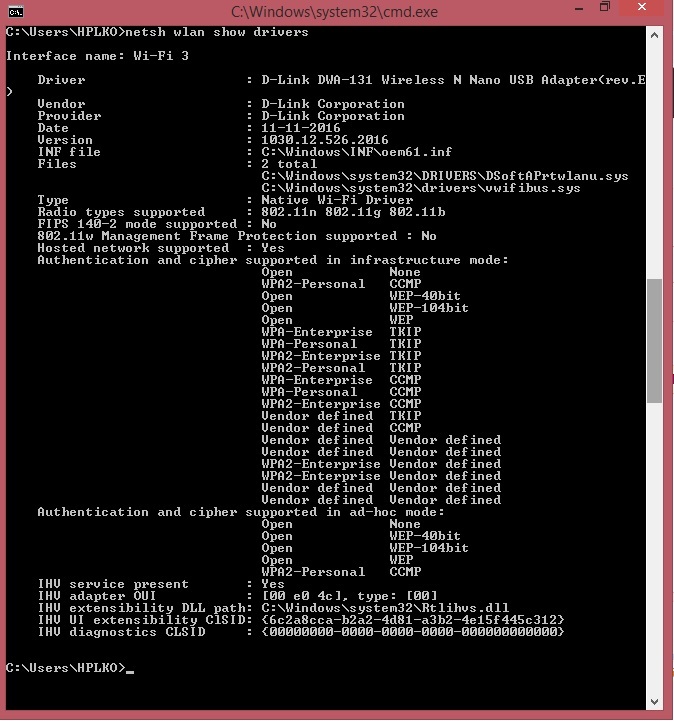 What wireless modes and security modes are you using on the host router? What channels are you using on the host router? Try the 131 adapter on a different PC and test to see if same thing happens? host router are mozo router I live in a hostel, so I do not know much about the host routers. On a different PC this does not happen I live in a room which probably is a bit far from wireless router. I tested the device on a PC which was in a room adjacent to router there this problem did not seemed to come till the time I tested.How do I find channels and other details from router which you mentioned I am just a user. I presume something on this particular PC is probably causing the problem if the adapter works correctly on another PC. I would try removing the drivers from the effected PC, then re-install the drivers. Use the drivers from your regional D-Link support web site. You can try the one in the USA as well and see.